Perhaps the first thing people think about when they hear “cherry tree” is the old parable regarding a young George Washington chopping down his father’s tree. In addition to having lovely blossoms and making a gorgeous landscaping statement, cherry wood is a great material for hardwood flooring because of its rich and distinctive coloring. Cherry wood’s color varies from a rich red to a reddish brown and its color darkens with age due to oxidation. When used for flooring cherry provides you with a satiny, smooth texture that adds warmth and character to any home. The wood from cherry trees, prunes species, a subset of the rose family, has been used in furniture making since 400 BC. Check out our other hardwood flooring options including the best reviews and comparisons of the year! How Can You Tell If This Is The Floor For You? What kind of cherry wood do I want to use for my flooring? Will cherry hardwood accentuate or distract from the style of my home? Is cherry going to be a durable enough flooring option for me? How much can I expect to pay for a cherry hardwood flooring? 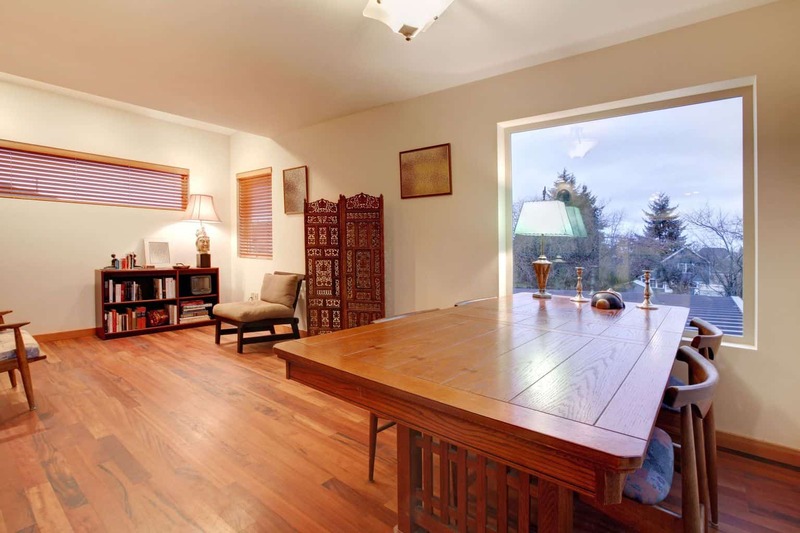 From where should I purchase cherry hardwood flooring? The answer here is really going to depend on what style you are looking for, the overall look you want to achieve, in what kind of room you plan to install the cherry flooring, and your budget. 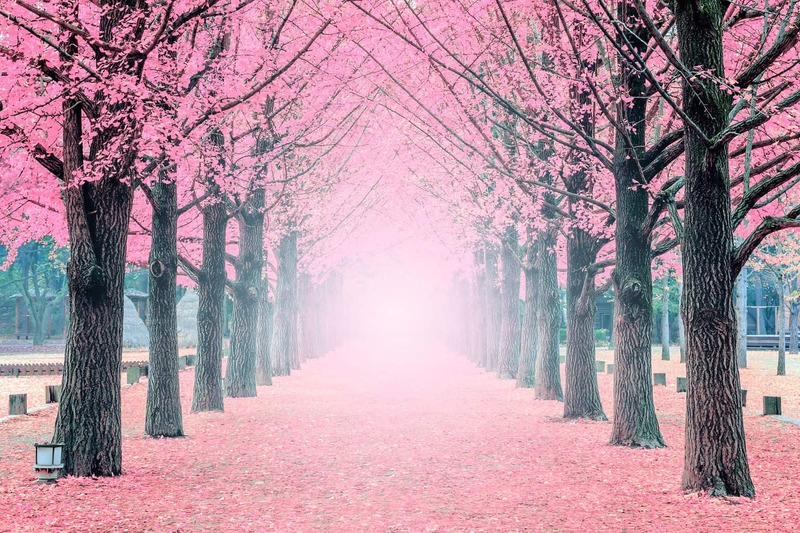 Cherry trees are grown worldwide, although not all are used for flooring material. Brazilian cherry is by far the most popular cherry hardwood flooring used, but the Asian and Bolivian cherry varieties can also be used. Cherry hardwood planks are easy to machine, glue and nail well and so are easy to install, and result with a smooth finish when sanded. Cherry wood also dries quite quickly after milling, but has a high shrinkage rate unless it has been kiln dried. Each species of cherry hardwood flooring has a different Janka rating. The Janka hardness rating is the measure of hardness for all wood varieties used for flooring. The American Cherry hardwood has the lowest score of the cherry wood varieties, with a rating of only 950. The Janka rating of other cherry woods is Brazilian cherry – 2820, African cherry – 1010, and Bolivian cherry – 3190. Lumber liquidators has a helpful chart that can be found here that will show you a comparison of the Janka ratings of many different hardwood varieties. Cherry flooring has been used for many decades in the construction industry. 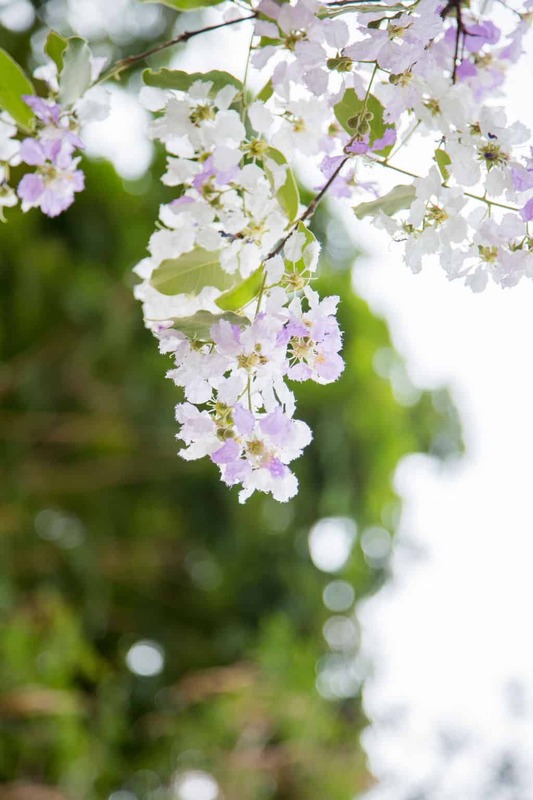 The flowering version of the tree that has been made famous by Washington D.C.’s Cherry Blossom Festival was introduced to America in 1900 as a gift from Japan. American cherry wood is softer than all of the other cherry woods, so it is not as popularly used for flooring as it is in landscaping. Brazilian or Jatoba cherry is an imported exotic hardwood and is the much more popular flooring choice. Will Cherry Wood Accentuate or Distract From the Style of My House? Selecting the right wood, possibly Brazilian or Bolivian hardwood cherry flooring, you will enjoy its unique grain and deep color for years to come. I personally love the look of cherry wood flooring, as it is noticeable, makes a statement, and unique in appearance, but will not draw the focus or overwhelm the other features of a room. It pairs well with almost any décor style and gives off a homey feeling that isn’t lacking in luster. 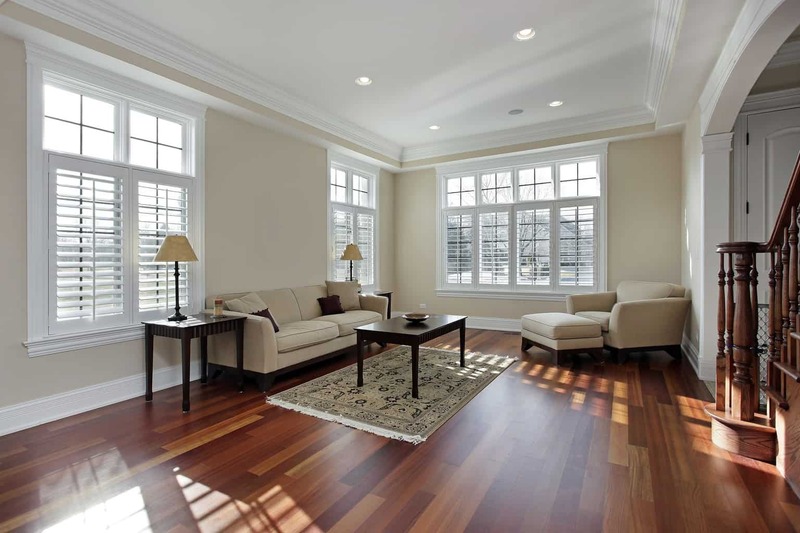 Cherry hardwood floors have an excellent smooth finish that is durable and adds warmth to any room. Brazilian cherry hardwood flooring has an open-grained appearance similar to that of oak but is twice as hard. An interesting feature of cherry hardwood flooring is the dark brown or black streaks that contrast with its background, ranging from dark orange to reddish brown. It is important to note, however, that Brazilian cherry hardwood flooring darkens after several months, so this should be taken into account when considering using it for flooring. Cherry hardwood flooring is readily available and is one of the most commonly used hardwoods in America. Is Cherry Going to be a Durable Enough Flooring For Me? Select your cherry flooring carefully because some cherry woods are significantly softer than others. As with other wood floors, cherry has the advantage of being easy to clean and maintain. When choosing a cherry wood flooring, most lean towards the Brazilian variety that is significantly stronger and has a measure of hardness rating that is significantly higher than many other hardwood flooring varieties, including pine and oak. You will need to seal or wax a cherry wood floor, and as with any type of hardwood flooring, that will need to be re-done occasionally, according to the manufacturer’s instructions. Brazilian cherry hardwood flooring is available in pre-finished or unfinished, and in thicknesses ranging from 3/8″ to 3/4”. Unlike carpeting, hardwood flooring does not collect dust readily, so a dust mop is ideal for daily cleaning and damp mopping your cherry floor will remove dirt and grime. Wet mopping of wooden floors is not advisable and can lead to warping. Always ensure that you use a damp mop and your cherry hardwood floors will retain their shine, luster, and appeal. By not taking care of your cherry flooring you will see a loss of shine and luster. When exposed to strong, direct sunlight tends to bleach out, losing its coloring. Filtering the light through a window film or window coverings can help to prevent this. Dirt and grit can act like sandpaper, scratching the finish and eventually the wood. Placing rugs and mats at doorways helps reduce this problem. Spills can damage the finish and even warp the wood, if not wiped up quickly. Because of wood’s natural tendency to absorb moisture, it is often recommended to avoid placing cherry flooring in kitchens, bathrooms, or laundry areas. Bolivian cherry hardwood flooring can have provide some challenges. When sanding this wood, the dust can cause allergic reactions, such as contact dermatitis and respiratory allergies. Oil finishes do not dry properly, making water-based finishes a better choice. Cherry wood is comparable in price per square footage to most other hardwoods. You can expect to pay about $2-$5 per square foot when purchasing cherry hardwood flooring planks, and installation costs are typically about the same as with any other hardwood flooring. With installation, you may expect to see costs of around $4-$8 per square foot for cherry hardwood floors. Because it is grown and harvested locally, American cherry wood is significantly less expensive than the more common (and stronger) Brazilian cherry wood, which comes from the jatoba tree native to the jungles of the Amazon. There are, of course, less expensive options to achieve the look of cherry hardwood floors without paying for the solid hardwood planks. There are laminate flooring options comprised of cherry hardwood layered over a wood composite, or even vinyl or tile options designed to mimic the look of a natural cherry hardwood floor. I get asked this question a lot. People are always coming to me looking for reputable providers of certain varieties of hardwoods and my answer does really vary depending on the particular hardwood species you are looking for and whether you are sold on purchasing a solid hardwood flooring or are considering other options, such as a laminate flooring designed to look like a cherry hard wood. When purchasing a Brazilian cherry hardwood flooring, it is important to purchase from someone reputable who uses sustainable practices, as the jatoba tree is one of many that have been over-harvested, contributing to the deforestation of the Amazon. You can check with Forestry Stewardship Council on sustainable practices and do research before purchasing any hardwood flooring. Typically, my advice is that if a price seems too good to be true, it usually is. Do market comparisons and get feedback and reviews before making any kind of major home purchase, including flooring. When considering flooring options for your home or office, cherry hardwood flooring makes for an interesting and dramatic choice. 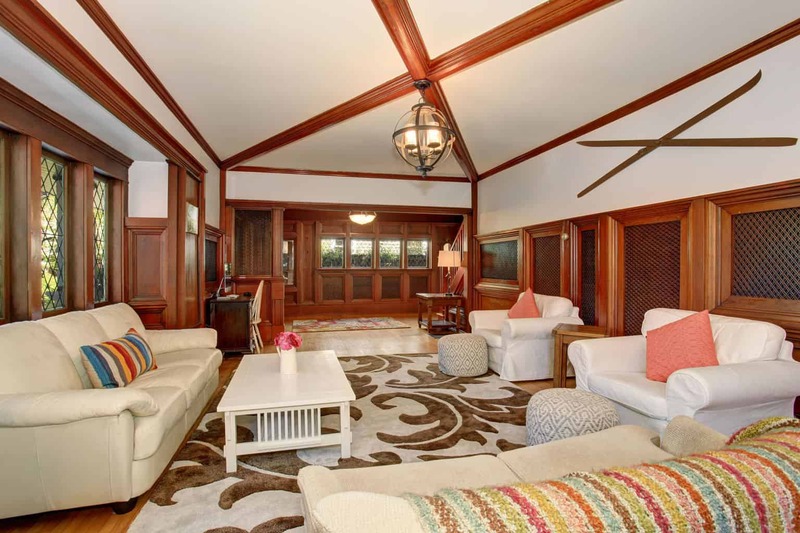 Not only will cherry hardwoods add warmth and elegance to a room, but will also increase the resale value. Since you can readily buy cherry hardwood floors from any hardwood specialty stores, you won’t have trouble finding a quality, beautiful flooring that fits your tastes. You also won’t have to resort to chopping your own cherry tree, like George Washington! I don’t recommend a steam mop to clean wood floors, but it shouldn’t hurt to use one if the flooring is sealed extremely well. There are so many on the market now and manufacturers are constantly coming out with newer models it’s very hard to keep up with them. The best thing to do is to do a google search for steam mops and look at reviews from real people. Epinion.com is one such site that comes to mind, there are others as well. I purchased my Brazilian Cherry flooring and had installed in March of 2008. I was not aware of the fading that occurs and just this week happened to be moving furniture around and the fading is significant. What do you recommend me doing-we could never sell our house with this significant change in the wood flooring. It is lighter under the area rug in the formal living room and lighter under my corner cupboard in the dining room. Thank goodness I did not do more rooms than my formal dining and formal living-I am sick to my stomach about this, what are your recommendations. There isn’t much you can do, except for letting nature take it’s course (sunlight). There have been some other suggestions in this thread, you can read them all here. We are about to install an American Cherry floor, and hadn’t planned on staining it. Though, when I put a coat of polyurathane on a piece to see what it looks like, it was lusterless and a dull brown. Should we add a natural stain to bring out the beauty of the wood, or will it look better after sanding and professionally installed and finished? I don’t have direct experience with finishing unfinished cherry flooring but think it would be done the same as any unfinished hardwood flooring. Sand it and then seal it. Lightly sand and seal again for a more durable finish. I personally prefer low VOC products to keep your air quality high, and there are some great products out there that fit that bill. I also wouldn’t stain your cherry flooring because the wood is beautiful as it is. But if you are going to, the staining process is done right after the sanding, followed by a light sanding before sealing the floor. I bought a house with Brazilian Hardwood Cherry flooring. It is a nightmare to keep clean! Area rugs cause moisture issues and also cause discoloration problems so I don’t use anything to cover the floors. It looks so bare and non- cozy. I hate these floors. I am constantly cleaning them as they show everything. Maybe I should use polyurathane on them to seal them? Can I go from worse to worser? No one has ever suggested sealing them. Can anyone tell me just what to do with these floors to keep them looking nice? I mop, buff, steam and swiffer them all the time. If anyone wants to know what I am doing, I am doing the floors! I also have Hardwood Cherry cabinets and I have no idea haow to treat them either. They need polishing of some sort as they tend to get greasy. Hi MaryJane, Please see my reply to Sandy. We just bought a house almost entirely covered with Brazilian wood floors. The previous owner used shining type waxes on the floor and I believe what we are dealing with now is wax build up. We are using Murphy’s Oil soap diluted with water to clean the floors and get some of the wax up. Is this correct? What are the signs of wax build up? Should these “Quick Shine” waxes be used on these types of floors? Thanks for asking! Why not head over to Cleaning Hardwood Flooring for my thoughts. I do want to point out that using water on your flooring has become a bit of a controversy and I now suggest 15:1 water:vinegar or just plain old water using a Microfiber mop or cloth. Remember to keep it damp and not wet! We are considering an American Cherry prefinished solid wood flooring in our den. The salesman says it has a 30 year finish warranty. We are putting it in our primary living area, therefore it will be high traffic, and we have two daschunds. Will it stand up to these issues, or should we look at another type of flooring? If the latter, what are some good options–prefer non-exotics, since many of those cause respiratory problems. We have a 4 1/2 yr old brazilian cherry floor near a couple large windows. We were told the windows were okay as is and it would not be a problem with fading, they would darken over time. They have totally bleached out and left a very obvious line where the sun hits them. The company refuses to honor the warranty and it does not look like they can be refinished. Any ideas? 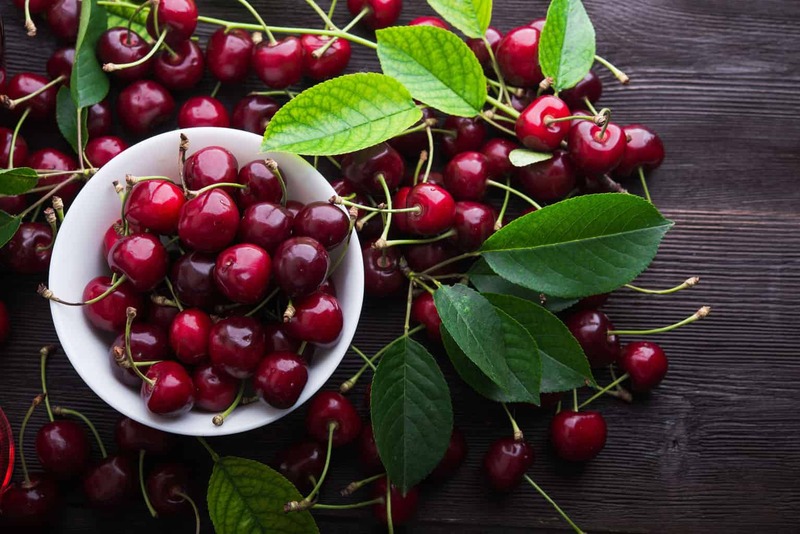 If the floors are under warranty for sun fading, then you may need to just speak to someone else at the company, however cherry is known to fade in direct sun over time. You could have the floors refinished by someone else, but besides replacing, there is really no way to fix the bleaching. I would also use a rug or blinds in that area to prevent the fading in the future. I would recommend using door mats to keep off the excess grit, and that would help a lot in maintaining the finish. You could also read through some of the information on other articles on Hardwood Flooring. There are probably some exclusions in the warranty for pets. We have Brazilian cherry floors and I hate them! They scratch easily and anywhere a rug is placed, the floor is much lighter. Had I been told that I should/could not put rugs on them, I NEVER would have invested the $. We are planning to sell our house and this is definitely, not a good selling point. Any ideas? The floors can be refinished. However, if you are selling your home, you may want to include options with the sale. Such as an allowance to purchase carpet, or refinish the floor and let them choose what they prefer.